If you’re in the New York area, the New York Mets will be having their 4th Annual Japanese Heritage Night on Wednesday, August 28. The Mets will be playing the Philadelphia Phillies. There will be a special Japanese Heritage Night pre-game show that begins at 6:30pm featuring the Japanese Folk Dance Institute, the Japanese Men’s Choir, taiko and fue master Kaoru Watanabe, and Spirit Award presentations to important members of our community. Look for fun Japanese activities and games throughout the evening at the special Japanese Heritage Night tables! A portion of the proceeds of all ticket sales made through the special JHN ticket window at mets.com/japan will be given to the Japanese-American Association’s, JAA Committee on Aging Issues which is an umbrella organization comprised of various New York City area institutions and health care professionals that are involved in caring for senior citizens in the Japanese and Japanese-American Community. Buy tickets for seating in one the specially designated Japanese Heritage Night sections available at mets.com/japan. Blocks of seats must be purchased in the same transaction. Organizations that sell more than 25 tickets can have their name displayed on the Mets scoreboard. 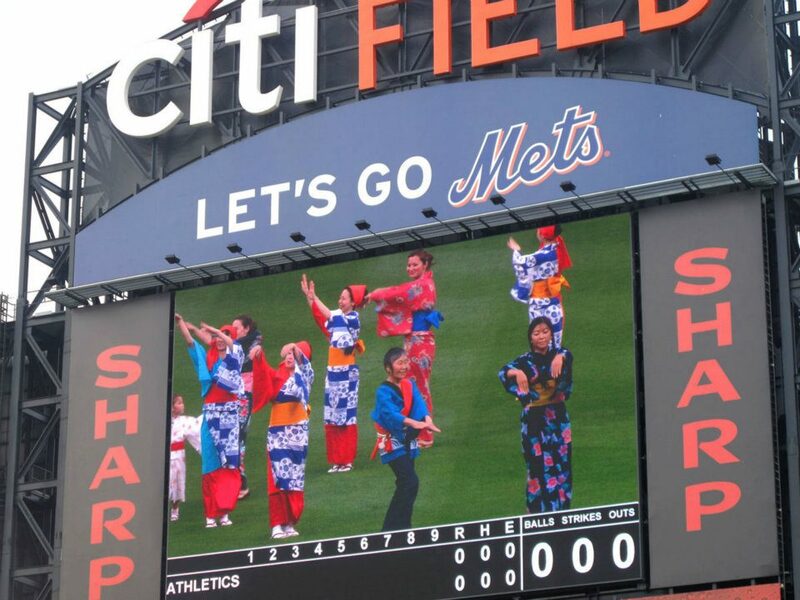 Visit the Facebook page at: Japanese Heritage Night at Citi Field 2013 for updates and images from past JHN events.